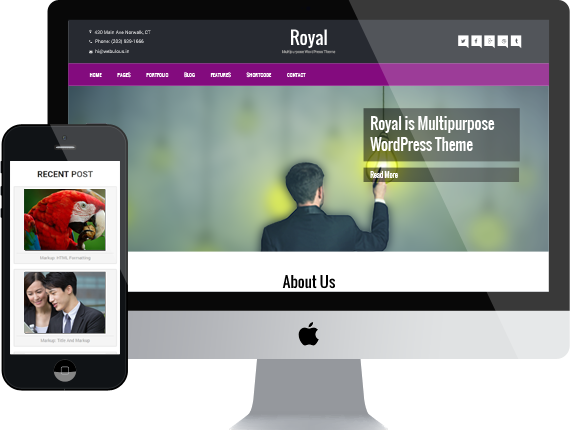 Royal is a Modern Responsive WordPress Multipurpose Theme. This Theme is Suited for any type of website, personal or business use. The Landing Page is designed with modern look and feel while keeping in mind to make it user friendly and eye catching so that people using it can get the best out of their website.